Novice translators often get advice on how to get work and how to successfully conduct their freelance business. Several leading translators, in fact, have published books aimed at less experienced colleagues (among these books, I especially recommend those by Corinne McKay, the Jenner twins and Chris Durban). However, what if you feel lazy, don’t really want to receive work, but, for some reason, you have to make a show of looking for it? Maybe your significant other has been nagging you to send your résumé to your prospects, and when you temporized by saying “I need to research them first”, she answered by providing you with a list of 7,600 translation agencies and a paid subscription to Payment Practices. 1. Be full of it: Write a bombastic cover message for your résumé. Feel free to add implausible claims (“...I am a Vogon native speaker, but can also easily translate into Klingon, as I spent two weeks on vacation there once, and I specialize in all subjects...”). A patronizing and condescending tone is also very helpful in turning prospects away (“...as you should know, language translation is a profession only a selected few can undertake...”). 2. Deliberately misspell your cover message, and add some egregious error of grammar, syntax, punctuation and usage (very effective, for instance, is to claim “I have challenges to provide high-quality service and meeting deadlines,” as in an application I received some time ago). I hereby request the following question, I saw this email and you were recruiting freelance translators, I wonder if that offer is still open? I am a young Portuguese who have a graduation in Portuguese and Dutch by the faculty of letters of Coimbra. And for three years I teached English in Portugal. Over these three years, at home, I did a translation of various texts, literary and non-literary, for example: user guides , how to apply a product; how to put a machine to work in a factory; the warning letters and simple letters; poems; short stories; emails with requests; cookery recipes; medical prescription; college and University diplomas and etc. I´m available and able to make in these three languages translation. I can also translate from Italian to Portuguese and Spanish to Portuguese, because I had a year of Italian and Spanish in University. I am currently living in Burma. My work as a translator will be done at home in the computer and then I send my translations through my email for your company. If you are interested in my services as a freelance translator, could you tell me what email can I send my CV? Please contact me at (address) for any further information. 3. Don’t mention your language pair in the title of your message. Let your prospects guess. 4. Don’t mention your language pair in the header of your résumé, either. If you really feel compelled to add it, the bottom of page three (possibly under “other information and personal interests”) should do nicely. If they finally get there, your prospects will be happy to discover you don’t translate in a language they are interested in. 5. If you have worked as a translator in the past, do include every detail of all projects you ever did (in fact, list all language assignments you did since middle school, for good measure). Remember: Your goal is to bore your prospect, and a seven-page single-spaced résumé should easily do the trick. 6. Wide margins and a legible layout are for chumps. Use the narrowest margins your word processor lets you get away with, don’t indent between paragraphs, and don’t use any font other than Arial Narrow (8 points maximum). If your prospects cannot read your résumé, they will not be tempted to hire you. 7. If (as you should) you are writing your résumé in a language which is not your own, make sure not to have it revised by a native speaker: She could accidentally correct all the errors you have worked so hard to add. 8. In the unfortunate case that a prospect, despite your efforts, answers your message and asks you to take a short translation test, be original: don’t just say you don’t do free tests (they might respect you for that), and certainly don’t accept to translate the test and do your best on it. Instead, accept the test, use Gurgle Translate, don’t spell-check, and send the test late (if they gave you a deadline), or not at all (if they didn’t). 9. If you decide to take a test, ignore any instructions that come with it: following them would waste your time, and you might unfortunately find in them some suggestion of how your prospect would like you to proceed. You want to show you are an independent spirit, not someone who meekly accepts to do what he is tasked to do. 10. And finally: Now that we live in a Web 2.0 world, with plenty of social media available to show what you really think to all and sundry, let your personality shine under your real name. Badmouth translation companies and belittle other translators on AmateurZ and BabbleBook. Suggest plenty of erroneous terms in online translation fora (in fact, suggest them in at least three different languages you don’t know). Display a righteous attitude (better yet, a paranoid one), and let everybody know that all translation companies (and all direct customers, for that matter), are out to get you to work for free, that all other translators are infinitely worse than you, that of course translators can and should translate from their second language into their third one, and that the sole reason for university translation departments the whole word over is to churn out plenty of lemmings ready to jump off a cliff and take all the work away from you. P.S. This will be the subject for another article, but learn to be very rude on the phone, especially if some project manager calls you. NOTE: This article, together with many others from several prominent translators, was written for Mox II: What they don't tell you about translation, the new collection of Mox cartoons by Alejandro Moreno-Ramos. Mox II was published today: go and order it - it is the perfect gift for any translator. This post made my partner (also a translator) and me laugh hysterically! Welcome to the wonderful world of translation... Oh how common it is for people to think "Hey! I once heard someone speak a foreign language and kinda got the gist, I'm gonna be a translator!" Having been part of my company's recruitment process recently, I have to say I am shocked at the standards of applications we received... Typos, addressed to the wrong person, poor quality, you name it! And of course there are the pretentious ones, the lazy ones, the grumpy ones. Finding a good translator often feels like searching for a needle in a haystack! It is essential to use good professional translators in order to obtain high quality results! This post is written in an interesting way. It makes me laugh. 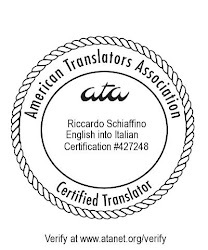 Above comments about translator is very true since the quality of our work depends on it. So its very important use professional translators. How are you? I found this blog post on the ATA "The Saavy Newcomer" Blog. I thought it would be very helpful for the linguist community as part of our company. So I reposted on our blog, http://www.mindlinkresources.com/news/. Helen (from the Saavy Newcomer) contacted me and suggested I contact you to make sure you were okay with that? My blog is just part of my company page at www.mindlinkresources.com. I do not run ads on the blog and it is just meant to provide content and information for our users. If you have any concerns, please let me know and I would be happy to remove the post. Hi Stacey, glad you liked the post. You are free to repost it, so long as you link back to my blog and indicate me as the author of the article.